All young professionals have heard the saying, “Dress For The Job You Want, Not The Job You Have”. But what does that mean? Studies have proven that the way your dress affects the way you are perceived, and how capable you are to handle certain tasks and responsibilities on a profession level. The way you appear for an interview, or on a daily basis at your job can make or break whether you are considered for a certain position or promotion. So does this mean having to go into your savings account to afford the most luxurious three-piece suits or expensive Italian leather pumps? Absolutely not. Unless you’re going into the high-fashion industry where that might be a requirement. Here are a few simple and realistic ways you can change your dress habits to make the impression you always wanted. Perhaps your dream job is just a promotion away. But maybe, your dream job in the high fashion industry with a strict adherence to designer labels and expensive handbags. Maybe it’s a smaller marketing firm with casual Fridays and a more business casual approach. Know your landscape. You want to stand out, but also, make sure you’re fitting into the overall brand and identity of the company. Find the balance of looking the part while setting yourself above the competition. In the past, you might have let your appearance slide on occasion. Maybe you decided to sleep in for an extra fifteen minutes, maybe you just didn’t feel like dressing up that day. But if you are really invested in taking the next step in your career, it’s time to commit not only your time, but also, maybe a bit of your money. You want to look the part of someone who deserves the amazing promotion and stands out in the crowd when it comes time to choose a candidate for that amazing position that just opened up in your dream company. Maybe your dress pants shrunk in the wash and you didn’t feel like replacing them. Maybe your blazer has a missing button. Or perhaps you wear the same pumps or tie to work every day and they are looking a little worn. While it isn’t necessary to drain your bank account to look great, it might be time for you to invest in your appearance. Buy some nice new ties. Buy a blazer with no missing buttons. You don’t have to break the bank to make a great impression. Invest in a wardrobe that is going to set you apart from your competition, fits practically in your budget, and will be staple pieces in your wardrobe. 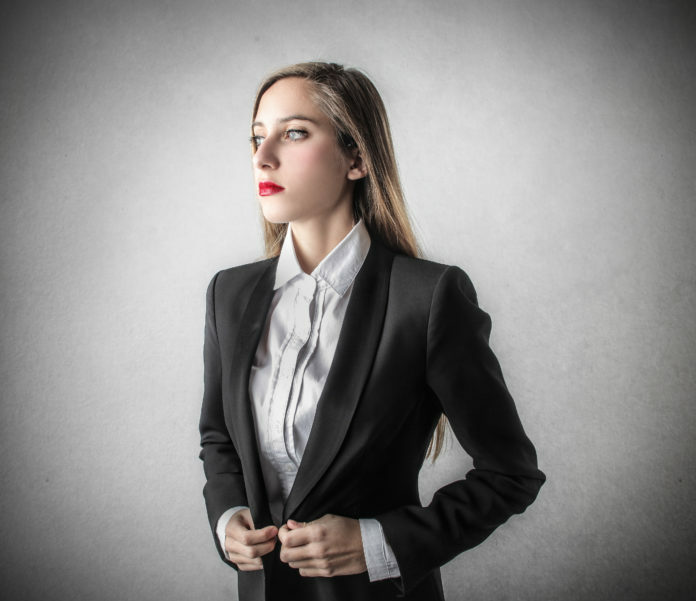 While certain professional pursuits may require you to wear traditional business attire, don’t be afraid to be true to yourself and showcase your personality. While employers do want a certain level of professionalism, they also want to see your authenticity, personality, and confidence.